Tom Holland's Spider-Man follows up his Marvel Cinematic Universe (MCU) debut in last year's Captain America: Civil War with Spider-Man: Homecoming, the 16th movie in the MCU. One of the smartest moves the folks at Disney did with their reboot of the franchise is their decision to not make it a superhero origin story. 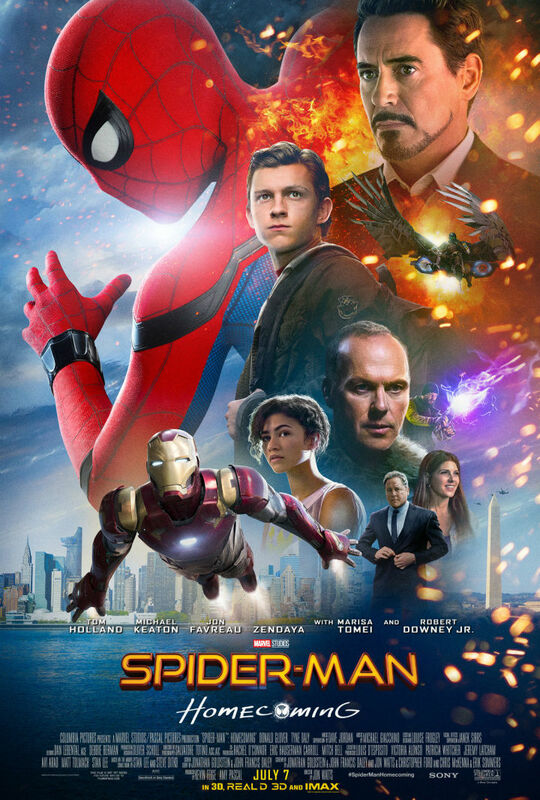 So having been spared from watching Uncle Ben die a third time, we instead get to watch the young Peter Parker face his greatest challenge yet, high school. The movie takes place two months after the events of Civil War, with the titular hero getting restless from fighting nothing but small time criminals. Things become less mundane when those criminals begin arming themselves with alien-technology-based weapons. He eventually traces the source of those weapons to the villainous arms dealer, Adrian Toomes (Michael Keaton), a man that has an axe to grind with Tony Stark (Robert Downey Jr.) for putting his salvage company out of operation. On the other end of the spectrum is the day-to-day stresses of life in high school. Peter and best friend Ned are stuck at the bottom of the social ladder, being the nerds that they are. But Peter develops a crush for Liz, a senior who also happens to have a deep admiration for Spider-Man. He wrestles with the idea of telling her he is Spider-Man, even as he also struggles to strike a balance between school and the Stark internship (a code term for his Spider-Man duties). He manages to ask her to the forthcoming homecoming dance, except things do not go as planned as his two worlds collide. Spider-Man: Homecoming is a fun, vibrant take on the popular superhero franchise. It is arguably the best Spider-Man movie till date, even though my rose-colored glasses still lead me to bestow that honor upon 2004's Spider-Man 2. Much like Ant-Man before it, the stakes here are on a much smaller scale. The movie works as both a superhero flick and a high-school comedy. The film boasts one of the better, more complex villains in the MCU thus far, and Michael Keaton does an admirable job of portraying that complexity. But the true star of the show is of course Tom Holland, who never ceases to amaze with his childlike wonder, much like he'd done in Civil War. Disney have proven once again that they've got that Midas touch. And if like me you'd been worried by the relatively short time span between when the Sony/Disney deal was announced and this movie's release, allow me to put those fears to rest; the finished product doesn't feel rushed or slapped together in any way. What we have instead is another solid entry in the MCU. That's my take on it as well. They perfectly captured the Spiderman of the comics. So glad it turned out the way it did. Can't wait to see what else they have planned for the sequels and crossovers. I think Homecoming was almost Disney redoing Ant-Man with a more recognizable superhero, so that the fun factor could be better appreciated. I agree. Both movies had much smaller stakes and were more comedic than their MCU counterparts. Except Spider-Man already had that built-in fan base.